On the 2nd floor of a residence, (no lift), well appointed apartment of 57m². Hallway. Living room opening on to the balcony (TV, HI FI). Open plan kitchen (dishwasher, oven, extractor, hob, microwave). Laundry room (w.machine, dryer, fridge-freezer, rubbish chute). One bedroom with a double bed of 160 and a pull-out drawer style bed with two beds of 80). Shower room with lovely shower, WC, Dressing. Travel cot available on request. 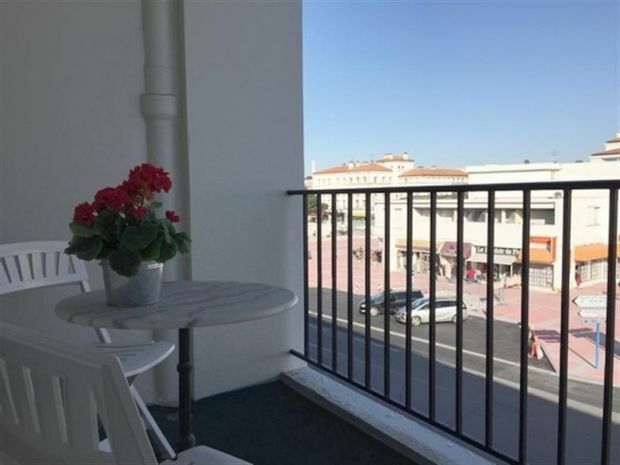 IDEAL LOCATION - BEACH AND SHOPS ON THE DOORSTEP - 3 STAR RATING. SLEEPS 4. At the heart of our community rebuilt after the Second World War, enjoy the idyllic location of this apartment, in the center. If you are looking for the proximity of the beach; where you can bask on the largest beach of ROYAN (Grande Conche beach); if you are considering a cultural stay; where our Audiovisual Center of Royan for the Study of Languages (CAREL) and our very historic Royan architecture will fill you up; if your gluttony lacks iodine; our auction will bring you the fresh produce that your palate demands. Succumb to the greed to come or come back on our beautiful coast, we are waiting for you!